The 100 Climbs Ultimate Challenge is without a doubt one of the most extreme challenges our supporters have undertaken – 5300km in 29 days with a vertical climb 9 x Everest! Your legs ache just thinking about it. But perhaps it’s fitting that Dom, James and Graham are taking on this incredible feat to tackle another extreme challenge – the challenge of ending youth homelessness in the UK. This year, over 80,000 young people will face homelessness in the UK. Many will be forced to sleep in overcrowded hostels, on the sofas of peoples they don’t know or worse still, on the streets. But homelessness isn’t inevitable; it’s a problem that can be solved. LandAid brings together remarkable businesses and individuals across the property industry to support projects providing life-changing accommodation for young people facing homelessness. We awards grants to create safe, warm homes for young people who are homeless across the UK. Dom, James and Graham’s incredible £25,000 target for LandAid means we can fund projects like Whitehaven Community Trust in Cumbria. This grant is helping renovate eleven bedrooms in a hostel for vulnerable young people with complex needs, where they will gain the support they need to move on into permanent, stable accommodation. As Dom, James and Graham cycle through across England, Scotland and Wales, they’ll be weaving through areas where, thanks to people like them, our projects are changing lives for vulnerable young people. Individually, we can make a huge difference to the lives of young homeless people. Together, we can end youth homelessness. One of the amazing things about the 100 Climbs Ultimate Challenge is that anyone can join! So please do join Dom, James and Graham for a day or more of this epic cycling adventure. 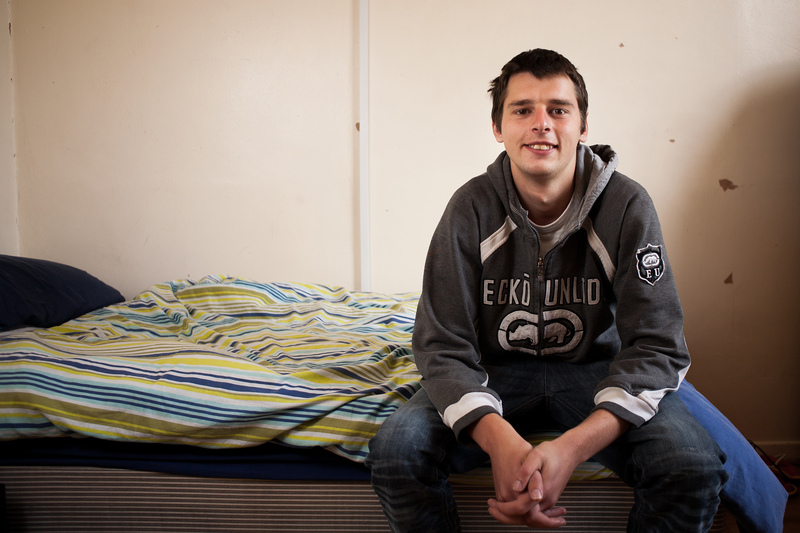 With your support, we can make sure no young person has to experience homelessness again.